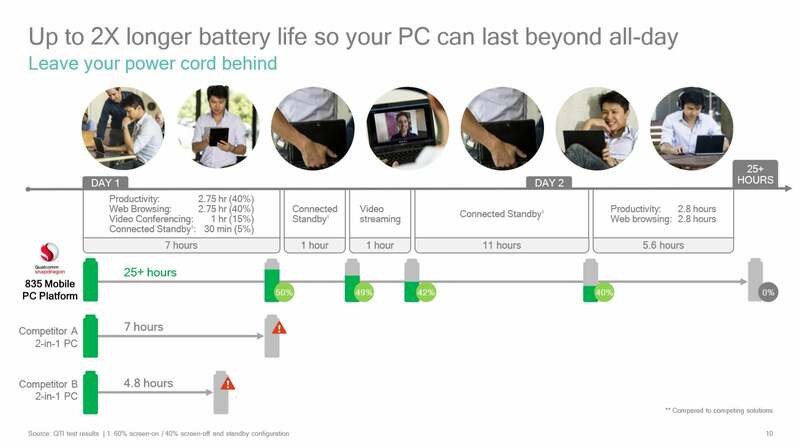 Qualcomm showed Snapdragon PCs from Asus and HP that promise two-day battery life and always-on connections. Qualcomm is invading Intel's turf, announcing Windows PCs that use the same Snapdragon chips as your phone and can last well into a second day of use. On Tuesday at its Snapdragon Technology Forum, Qualcomm showed off its Snapdragon 835 Mobile PC Platform on a HP Envy x2 tablet and an Asus NovaGo ultrabook. Both run on the company's Snapdragon 835—yes, the same processor (and cellular modem) inside popular phones like the Samsung Galaxy Note 8. Qualcomm uses its success with smartphones to justify its foray into PCs. You demand all-day performance from your phone, while it's constantly connected to the Internet. Why shouldn't your PC deliver the same? 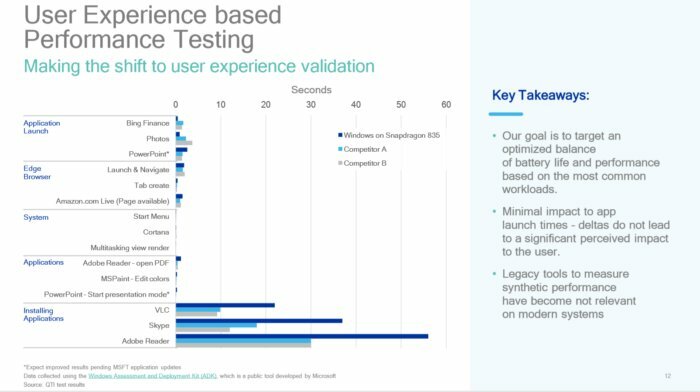 Let's clear up one concern right away: Qualcomm's Windows PCs are running Windows 10, not the abandoned Windows RT variant that only ran Microsoft's UWP apps. However, these PCs emulate non-UWP apps, slowing performance. Qualcomm hopes you'll be willing to trade some speed for the promise that the Snapdragon Mobile PC platform will deliver 14 to 24 hours of constant use, interspersed with idle periods of "connected standby" time. What this will mean for you: At some point, the performance of your phone, tablet or PC exceeds your demands—what we call "good-enough" computing. Qualcomm's betting we're already there, at least for a chunk of potential users. Instead, it's focusing on basic productivity, always-on (cellular) connectivity, and battery life. Many questions hang in the air: Is "good-enough" computing good enough for you? How well does a Snapdragon PC perform on everyday apps that are emulated, such as Google Chrome? How close to reality are these battery life claims? Will customers want to pay for an additional cellular plan? If Qualcomm can deliver on its claims and offer (affordable) always-on WWAN connectivity, a little competition for Intel is always good news for consumers. 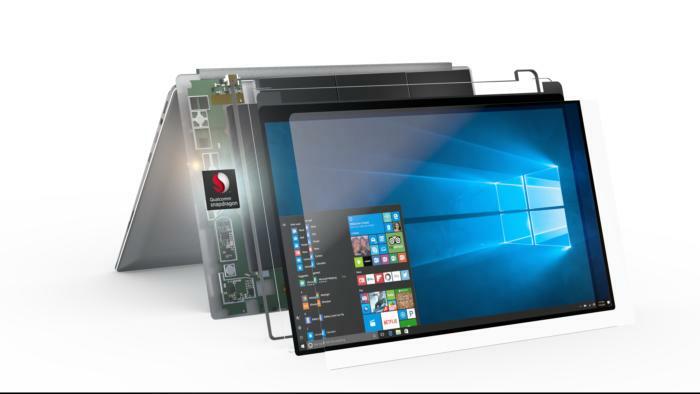 Qualcomm's vision of the connected PC, powered by its Snapdragon chip. Keep in mind that chip makers like Intel -- and, to a lesser, extent, AMD—are interested in selling you chips that offer the highest performance possible for the lowest price. That's not Qualcomm's priority. "Most people working in these form factors are interested in the connectivity piece, and things like music, email, some productivity, shopping -- it's mostly an extension to a phone," said Miguel Nunes, senior director of product management for Qualcomm. "We don't see people using heavy workloads, like graphic design. If they do, they shy away from these form factors." "I've been using one of these [Snapdragon-powered] devices for several months," Nunes added. 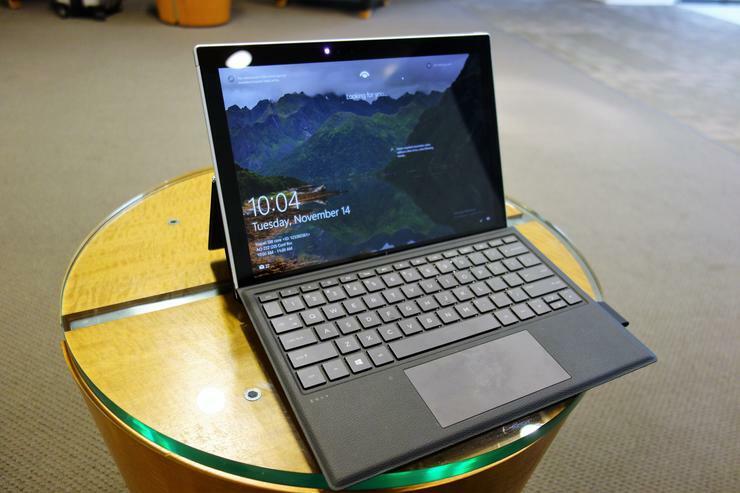 "It's replaced my Surface Pro device, and I go multiple days without charging." 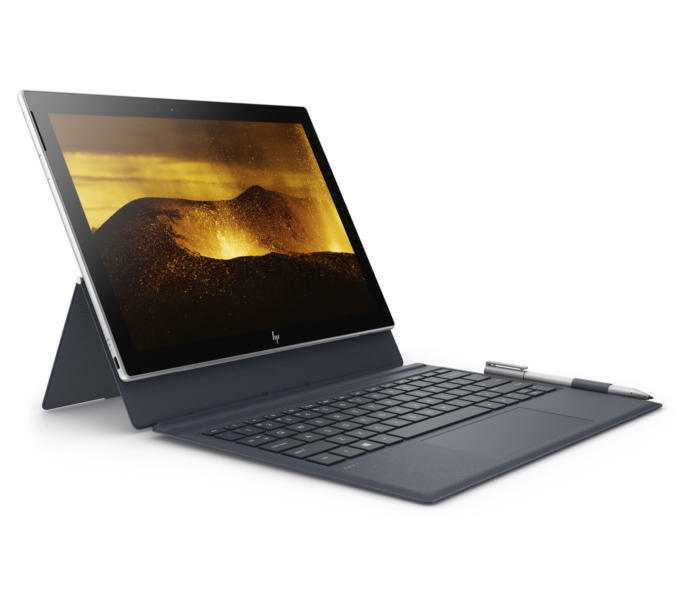 The HP Envy x2 will be one of the first to include a Qualcomm Snapdragon chip inside. Nunes was referring to a Snapdragon-powered version of one of the devices, the HP Envy x2. PCWorld reviewed a similar tablet, the HP Elite x2, which includes an Intel Core m chip inside. The Elite x2 delivered over 7 hours of battery life under our tests, which included constant video rundown. 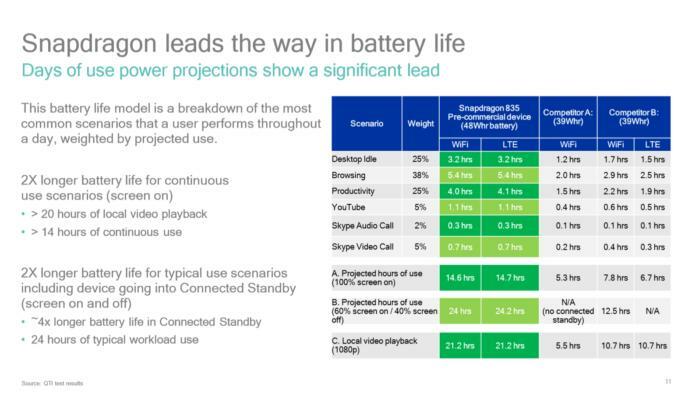 Qualcomm claims that same tablet will deliver 20 hours of battery life with a Snapdragon inside of it. 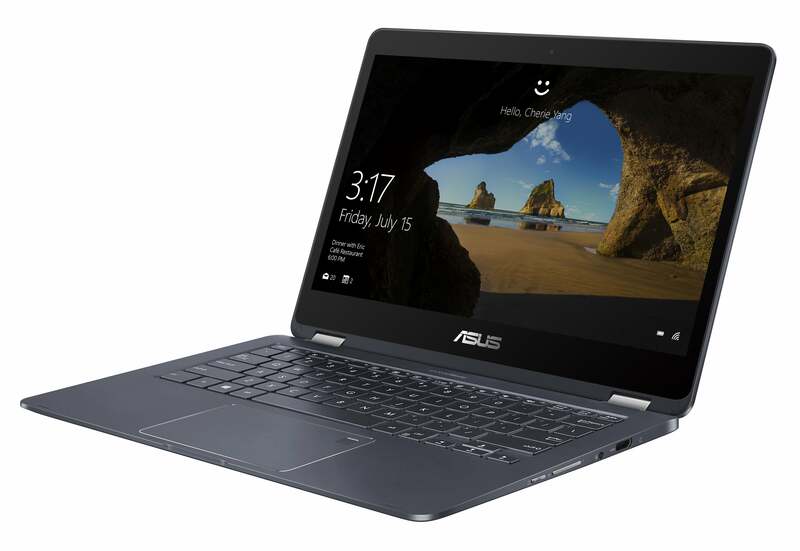 The Asus NovaGo ultrabook, also powered by a Qualcomm Snapdragon processor. Qualcomm also released a partial list of the specs of each machine, in part to reassure potential customers that they were getting a "true" PC, with support for the various peripherals and other components that make up a PC. Interestingly, both the HP Envy x2 and the Asus NovaGo use Windows 10 S. Why is that important? Because in our tests, using Windows 10 Pro significantly reduced the battery life. Testing the Microsoft Surface Book running Windows 10 S yielded a whopping 765 minutes of battery life. "Upgrading" to Windows 10 Pro cut the battery life to 654 minutes, a decrease of 14.5 percent. Qualcomm Snapdragon PCs will be slower, but does it matter? To its credit, Qualcomm admits that the performance of a Snapdragon PC will be slower than its competition. In part, that's because the Snapdragon chips aren't designed to natively process the code. Instead, the Snapdragon 835 passes the code through some intermediary steps, including an abstraction layer and emulator. This was a step that Windows RT devices, and the ARM chips they ran on, left out. The bottom line is this: Windows UWP apps (Mail, Calendar, Edge, plus native Skype apps like Twitter, Spotify, and the like) will always run at the chip's maximum performance. A whole host of traditional .EXE apps, such as most games, browsers like Chrome and Firefox, and synthetic benchmarks simply won't run as fast. ...and here, with a more detailed breakdown of the Qualcomm Snapdragon 835's power consumption. Naturally, Qualcomm doesn't want you to focus on this aspect. Any application is dependent upon a combination of CPU, GPU, memory, and storage, Nunes said. "You will see a few differences here and there... but it's nothing that's going to impact the user experience. You may see something launch in 1 second, on the other platform it launches on 1.4 seconds." "That's 40 percent slower, but really, that doesn't matter," Nunes added. "It's better to address the battery life, as that's what most people care about." When asked to define the performance penalty that emulation would cost, Nunes again demurred. "Really, it depends on the app," he said. These are the "performance" metrics Qualcomm wants you to think about when considering Snapdragon 835 Mobile PCs. Qualcomm feels that it can make up some of that gap as more powerful CPUs throttle themselves, reducing the clock speed under load to keep heat output under potentially dangerous levels. But again, executives admit that you'll notice differences between native and emulated apps. In part, that's due to a design quirk in the ARM architecture that underlies the Snapdragon chip: ARM uses a combination of "big," powerful cores together with more power-efficient "little" cores. It's these little cores that help provide the long battery life, but can't quite keep up when under load. That means two things for the average user: one, when Asus and HP ship the new Qualcomm-powered devices, all three will emphasize "user experience" metrics like how fast apps will open, rather than synthetic benchmarks like Cinebench or PCMark. Second, what apps you use will matter. "You can run Chrome on it, but Edge is significantly more optimized. But Chrome will work," Nunes said. If Qualcomm's Snapdragon 835 Platform Mobile PCs are to take off, consumers are going to have to buy into PCs that run for two days or so, offer pervasive and WWAN connectivity...and whose computing power does the job. So far, we've had two architectures try that argument on for size: Intel's Core m and Atom chips. Intel's Core m arguably succeeded. The Atom did not, offering a sluggish computing experience often compounded by anemic storage and memory. For years, however, consumers have pleaded with smartphone makers to increase the battery life. Now Qualcomm has the opportunity to help PC makers do the same. Will they succeed? As soon as we can get devices in our hands, we'll tell you.